Gas Detection today is becoming more sophisticated and the gas detectors that are available are extremely exact and reliable. They are small, compact and lightweight and can be used in many different applications and locations such as oil rigs, industry, manufacturing, construction, firefighting and more. Gas detectors transmit an alarm and flashing light when the gas level exceeds the level that the equipment has been calibrated for. 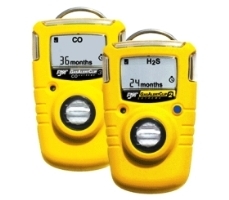 We carry single and multi- gas detection equipment which is sold as a portable or fixed unit. The portable units can be worn on clothing or belts and the fixed ones can be permanent fixtures in a plant or control room.